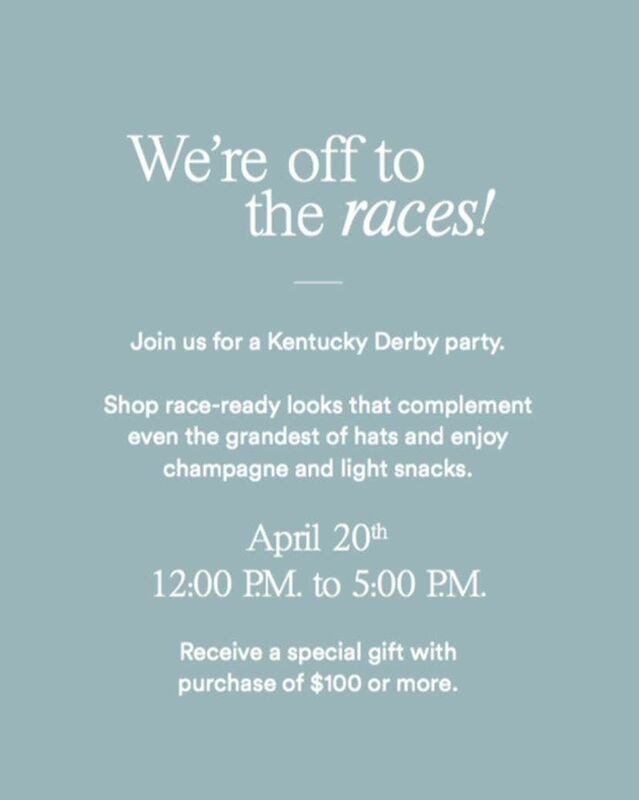 Our Ann Taylor Oxmoor store is having our first annual Derby Event! 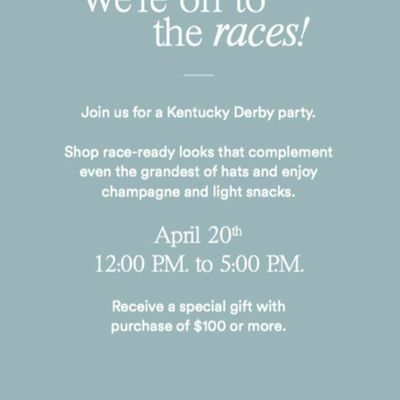 Join us and Danielle from blog @LouWhatWear for a Kentucky Derby Party! Our event will be held from 12-5 and @LouWhatWear will be on site from 12-3. Shop race- ready looks that complement even the grandest of hats! If you are still searching for your perfect hat as well, don't worry! We will have hats on site from Dee's Crafts. Enjoy a glass of champagne and light snacks as you shop.